Photo credit: © Aleksandra Dittwald, used with permission with our sincere thanks. "Tall Couple" by Louis Archambault, commissioned by Expo 67, The House of Seagram. 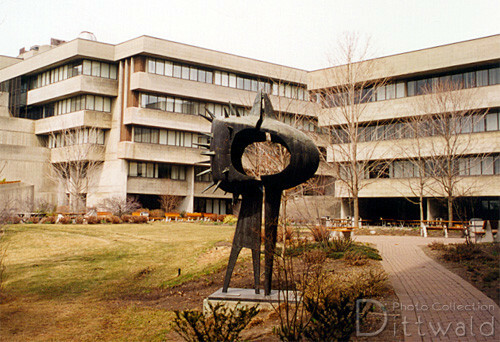 The statue is now located at the University of Toronto Scarborough.